a peaceful and joyful 2016. As 2015 draws to a close we would like to share with you a quick roundup of our year. We are all too aware that without your generous support these things, and the hope and comfort which comes from them, would not have been possible. The regular work of the clinic includes monthly medical camps for Devadasis, twice weekly general medical camps (in the surrounding villages) and once weekly general clinics. Over the last year we have seen around 4200 patients. 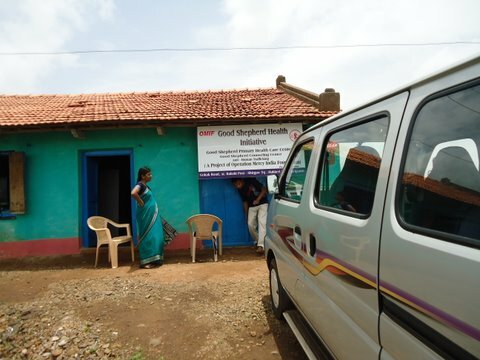 This is made up of just under 1000 in the clinic itself and around 3200 in the community- in medical camps, vaccination programs, and education and awareness camps. 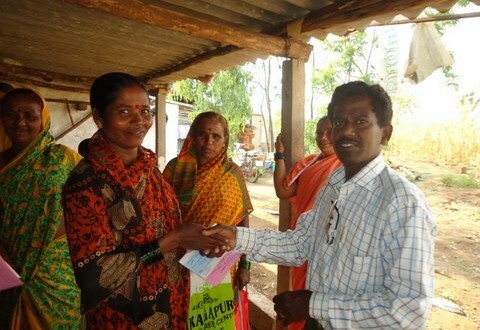 Since Devadasis unfortunately have very high rates of both HIV and hepatitis B we have offered HIV screening to all of our Devadasi contacts several times throughout the year and also worked hard to offer them a full course (3 injections) of hepatitis B vaccination, to protect themselves. Needless to say both of these interventions will length and improve the quality of many lives. 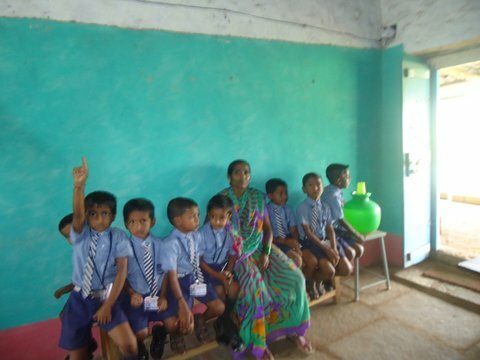 The children of the Devadasis (and others who are HIV positive) are also remembered, and in addition to medical care, we have provided school support in the form of notebooks and stationary to 2270 children. Gharpatrabha and Rakshi (for serious disease, malnutrition and short sight). Those found to have problems were followed up by our own doctor, a specialist or an optician as appropriate. Glasses were provided free of cost to those who needed them. Over the year we have been delighted to become increasingly integrated into the local community. 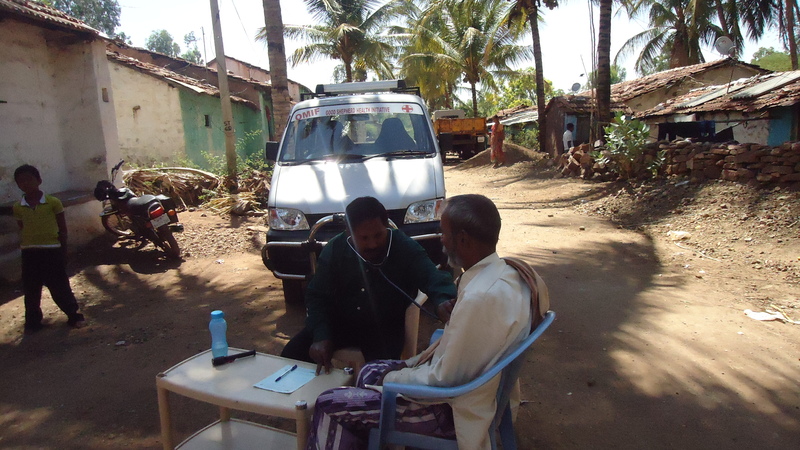 This includes notably, a professor from a large medical college in the city of Belgaum an hour away from the clinic who heard about our work and is now helping us by running monthly specialist clinics. This link also helps us to get high quality care for our most needy patients at his hospital. 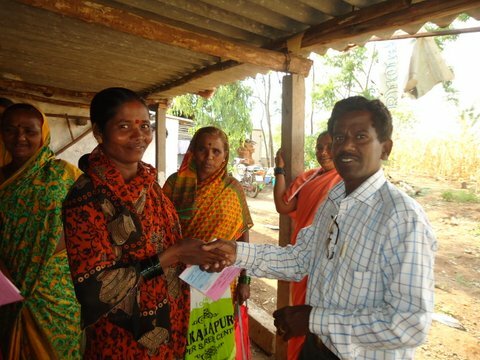 dignity to women with few other options for income generation, due to limited schooling, involvement in the Devadasi system and a low view of women in the surrounding society. Alongside this, we distributed microloans to a further 15 women in February 2015 to enable them to set up their own businesses including small shops and small scale poultry farming. The benefit to these women has been wonderful to see, and it has been encouraging that most are managing to pay back the loan on schedule. Challenges wise, we are still searching for a female gynaecologist who is willing to work regularly with the Devadasi community with us. Stigma, distance from the city and the rarity of female gynecologists is making this a challenge. Similarly, we have to search long and hard for good nurses, and often wish we had more choice! The proposed Good Shepherd Nursing School in Hyderabad should go a long way towards helping us with this.